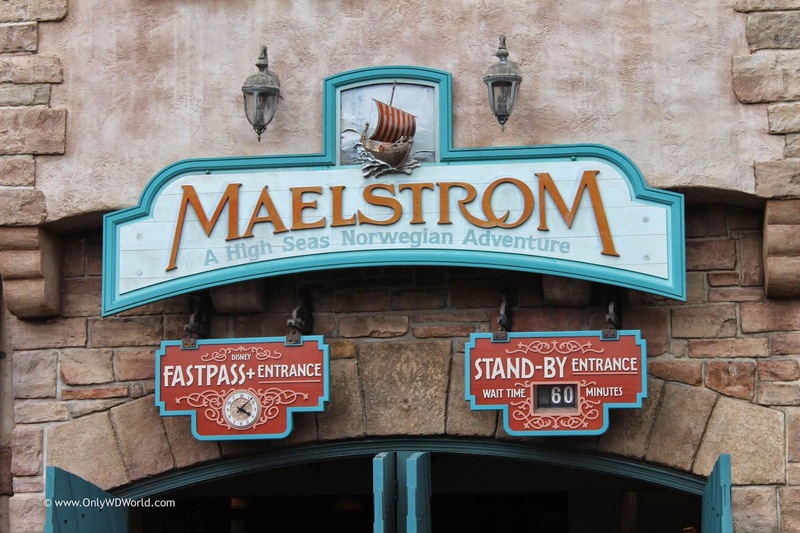 October 5th, 2014 marked the final day for the Maelstrom attraction in the Norway Pavilion in Epcot. As preparations are underway to re-purpose this space into a Frozen movie based attraction, we wanted to take this opportunity to say goodbye what was the best attraction in the Epcot World Showcase. 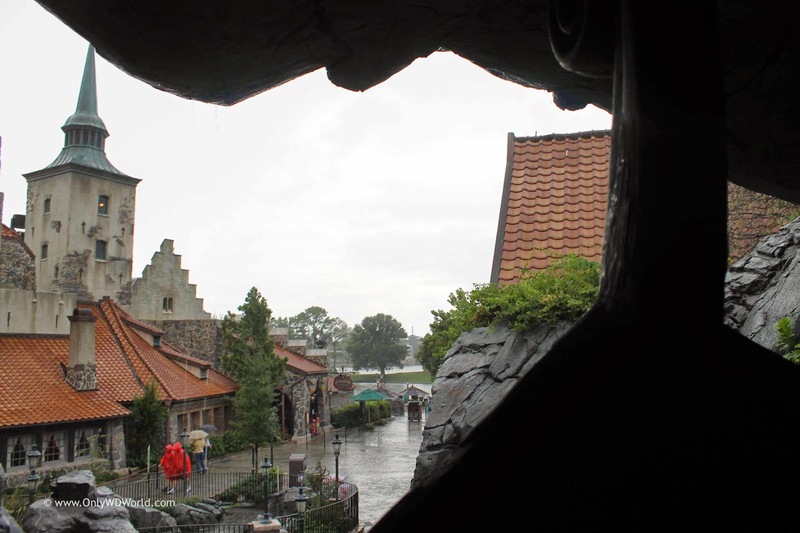 The last of the 11 current countries of the Epcot World Showcase to be added, the Norway Pavilion debuted in the Summer of 1988 with its showcase attraction called Maelstrom that would differentiate it from the other international pavilions. 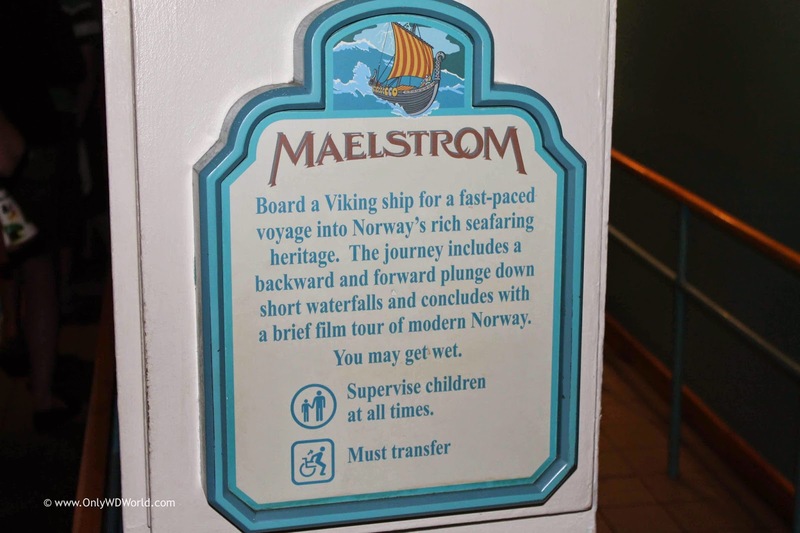 As you made your way to the back of the Norway Pavilion you were greeted with signs that let you know that this attraction was definitely different than any other that could be found in Epcot's World Showcase. 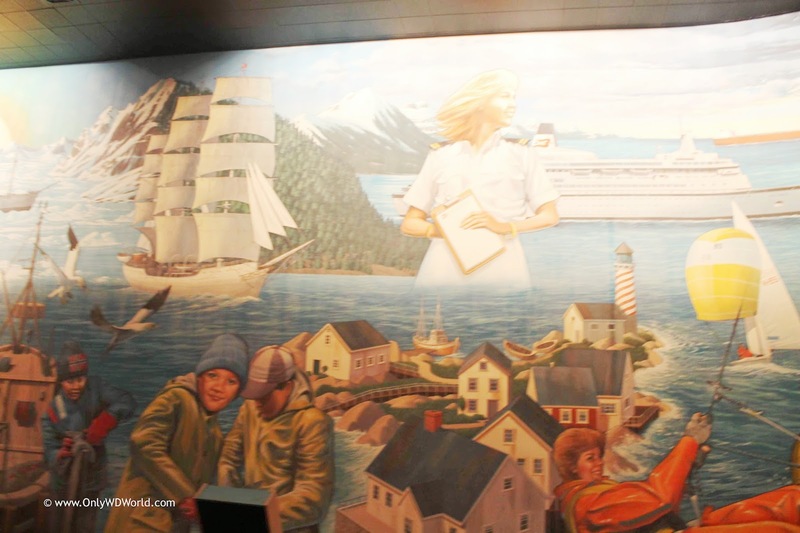 The waiting area provided a view to a magnificent mural depicting images of Norway, past and present. 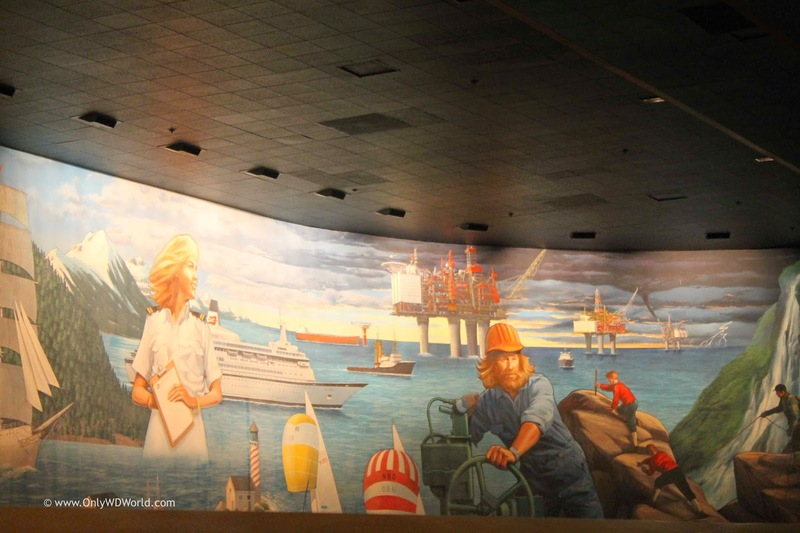 This mural is so large that we will have to break it down into four sections to look at. The first section depicts a scene from the early settlements of Norway and their ties to the mythology of the trolls and the spirits of the land. The second section shows the transition from the great warriors to the hard life on the frozen sea with the fishing boats and the sailing ships. The third section depicts a coastal fishing village and a nod to the booming cruise ship industry. 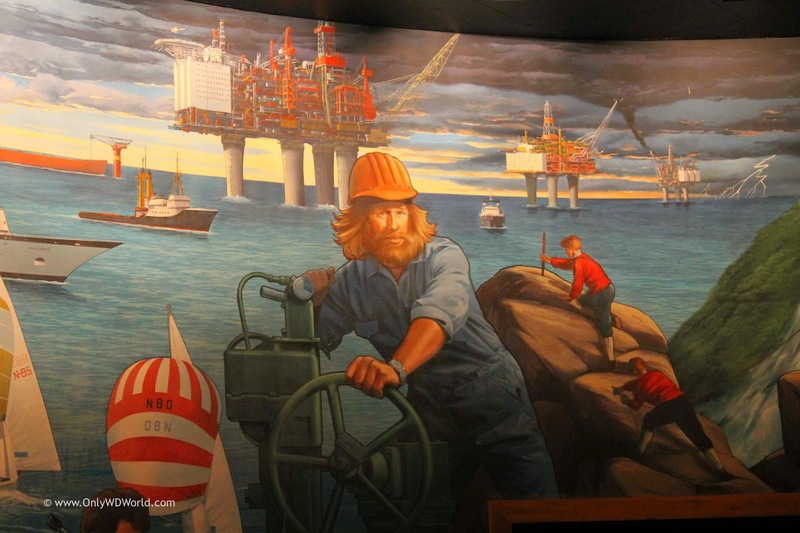 The last section shows the vast oil fields that live off-shore from Norway. This worker is who we affectionately refer to as "Chuck Norse" since he bears a striking resemblance to actor Chuck Norris! Now it is time to board your rustic Norwegian vessel to begin your journey. 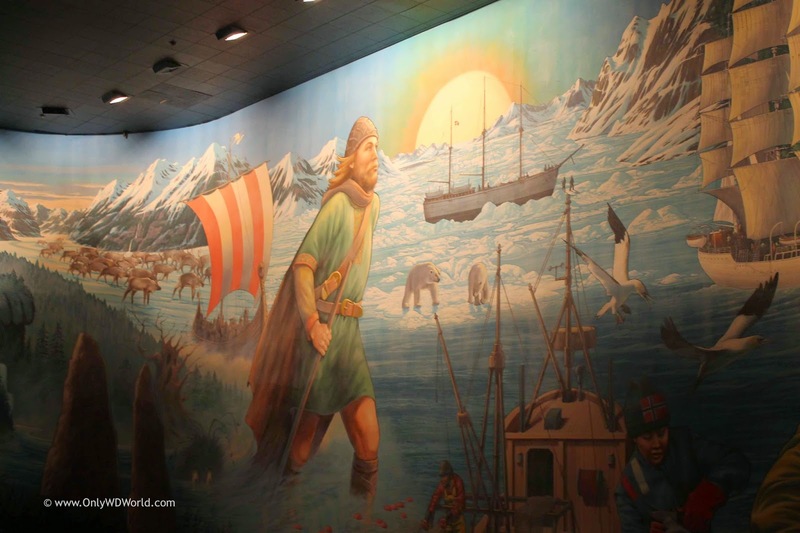 The boat transports you through time to view the early origins of Norway and to understand the lives and folklore of its people. You see ancient warriors and the not so cute three-headed trolls. At this point you reach a dead end and you retreat from the troll sighting in reverse and make your way make full size (and angry) polar bears and back up to the edge of the waterfall. 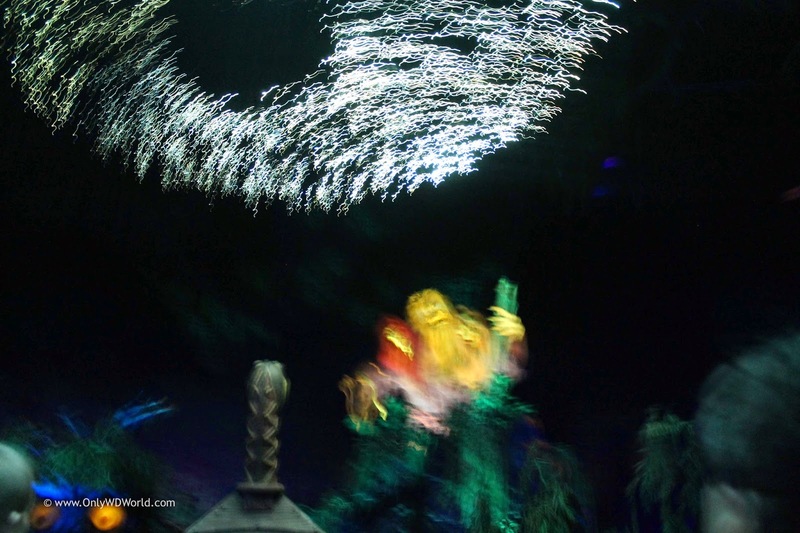 Here you start moving forward again only to realize that it means that you are going to descend down a drop that is somewhere between Pirates Of The Caribbean and Splash Mountain to end up in the shadow of a deep sea oil drilling platform as you are transported back to present day Norway. Finally you exit the area to dock in a quaint Norwegian Fishing Village. Here you depart and can stop to see a brief film about Norway before you continue on to the gift shops. 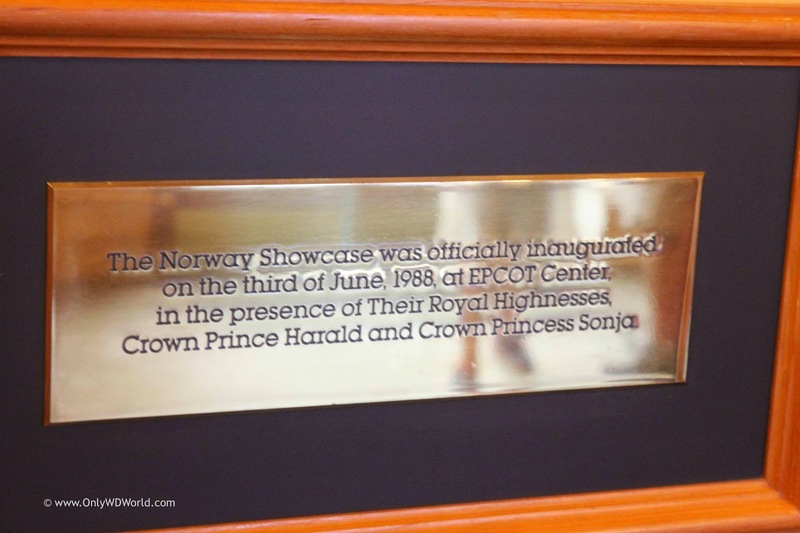 The Norway Showcase was officially inaugurated on the third of June 1988 at EPCOT Center in the presence of Their Royal Highnesses, Crown Prince Harald and Crown Princess Sonja. 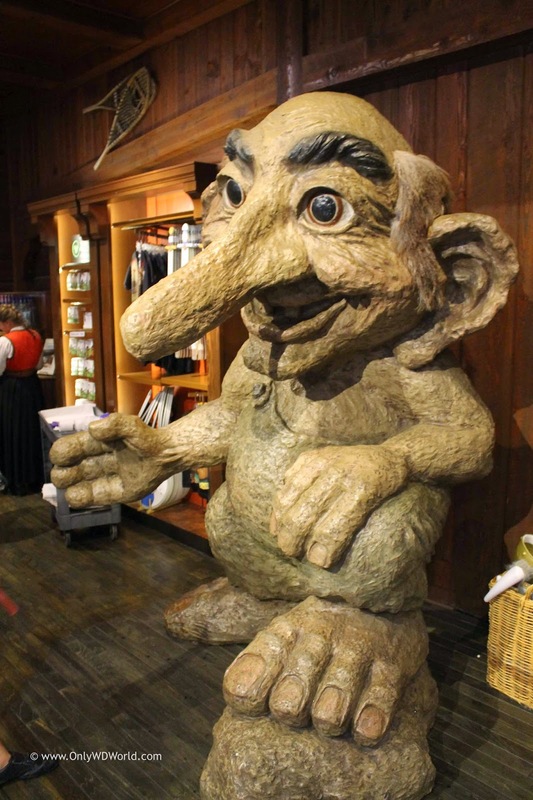 The other landmark in the shops is the giant troll that may not remain after the redesign to integrate the world of Frozen with their friendlier "boulder trolls." 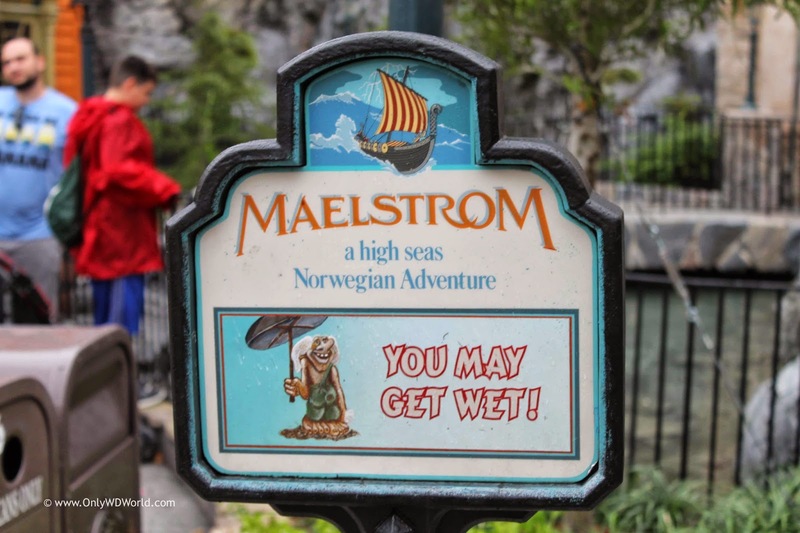 Although change is not always bad, we will miss Maelstrom and its depiction of the history, culture, and people of Norway. 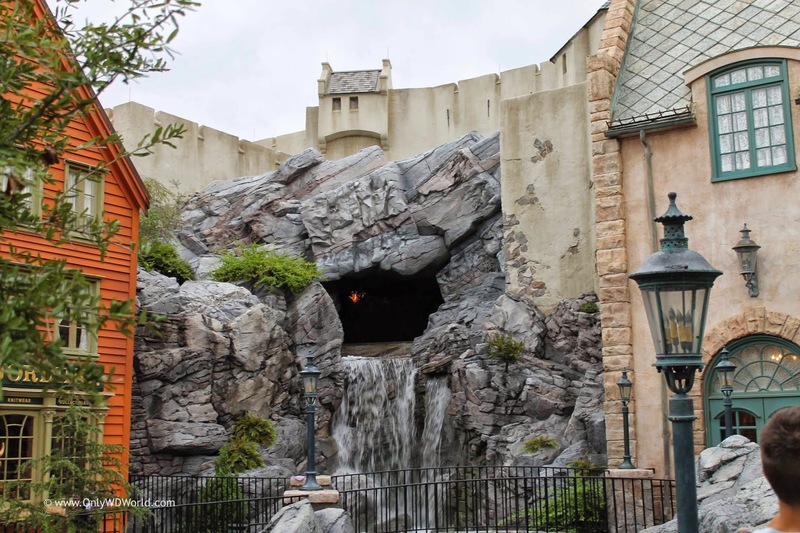 It also represented the first and until now only "thrill" ride in the World Showcase. 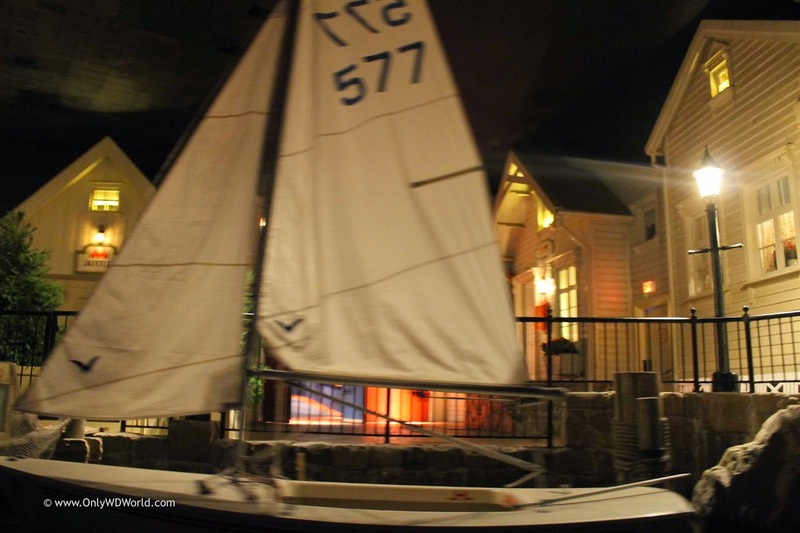 Since 1988, this has been our version of a vacation to Norway and immersion into its culture. 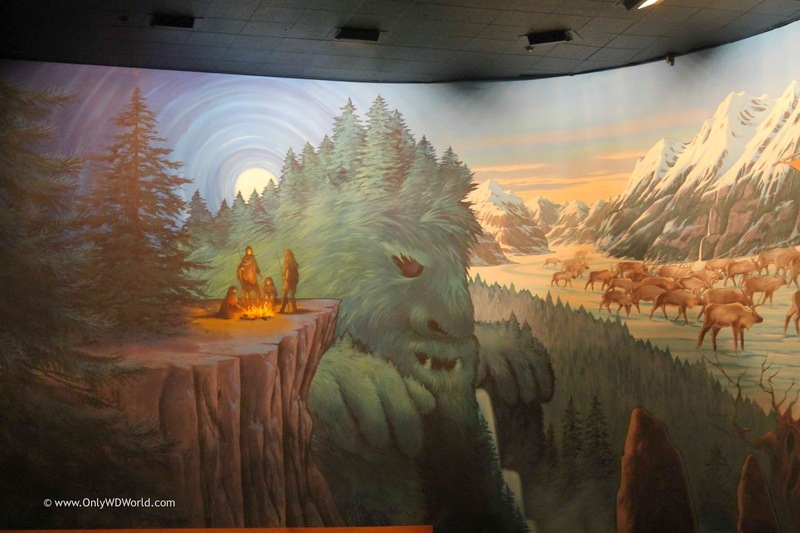 The replacement attraction will promise to bring the amazing characters from the movie Frozen to a ride that is sure to be popular, but it also moves Epcot further away from its origins, and that makes us sad. 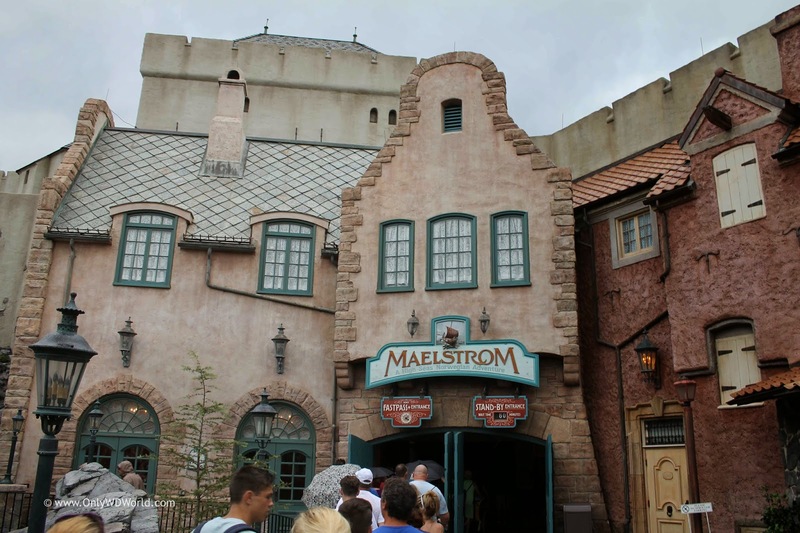 We are not sad that it was time to replace Maelstrom, but by the fact that the replacement does not have ties to Norway and takes Epcot's World Showcase further away from being a World Showcase that focuses on the majesty that is the diversity of cultures from around the world and more of a vehicle to place characters from various Disney/Pixar movies. 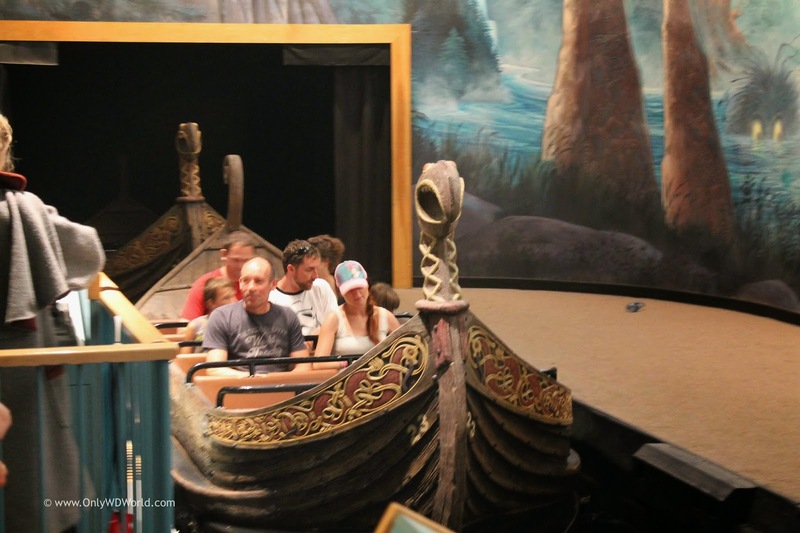 0 comments to "Saying Goodbye To Maelstrom At Epcot Norway"